Leiston Town Football Club was first affiliated with the Suffolk County FA in 1880 and at the time was undoubtedly closely associated with the Richard Garrett Eng ineering Works. In the early days, games were played on the old Recreation Ground adjacent to Gas Hill (now known as Park Hill) and players would change at either the White Horse Hotel or at the Works Hall. In the early 1920’s Richard Garrett’s bought the ground off Victory Road renaming it the Leiston Works Athletic Association and this has been the home for over 90 years although the ground name was changed in the 1980’s to LTAA (Leiston Town Athletics Association). In the early years the club were members of the North Suffolk League and then Ipswich and District League, winning the latter League three times in 1900, 1901 & 1902. They then had two spells in the East Anglian League sandwiched between spells in the Ipswich & District League. After the Great War the club was reformed as Leiston Works Athletic and during the 1920’s were part of three Leagues – Essex and Suffolk Border League, Ipswich & District League and North Suffolk League. In 1934 the club returned to be called Leiston Town spending fourteen years in the Ipswich & District League before returning to the North Suffolk League for a third time but yet again returning to the Ipswich & District League five years later in 1953 where they stayed for the next 48 years. During the Second World War the King’s Regiment, which included most of the players of Liverpool FC, were stationed at Leiston and they played some of their matches at the LWAA ground. Leiston Town were ‘Full Members’ of the Football Association from the early 1950’s until 1982 following their relegation from the Senior Division (the only other Suffolk teams to be Full Members at this time were Ipswich Town and Lowestoft Town) and soon after this period the club dropped the Town part to become just Leiston FC. During this period Leiston were accepted and played in the FA Cup, FA Amateur Cup and later the FA Vase. The clubs Youth team were the first club in Suffolk to enter the FA Youth Challenge Cup reaching the First Round and a trip to Highbury to face Arsenal in 1954 where they took an early lead before losing 8-1 to the Gunners. In 1980 the club received the ‘Illuminated Address’ from the Football Association to celebrate the club’s centenary but this decade saw some indifferent form in the Suffolk & Ipswich League including relegation to Division One in 1983 and a third place finish in the Senior Division in 1986. Further relegations and promotions followed into the 1990’s before the club achieved their long term goal of progression to the Eastern Counties set up in 2001 finishing third and the necessary promotion placing. Despite their prestigious history, Leiston Football Club has not had the best of fortune with regards to silverware. After a hat-trick of League titles in 1900, 1901 and 1902 they had to wait 36 years before winning the Ipswich & District League Division Two and then a further 45 years for another Senior trophy. Four times we have been runners up in the Suffolk FA Premier Cup (2005, 2006, 2007 & 2016) and six times in the Suffolk FA Senior Cup (1892, 1897, 1904, 1949, 1966 and 1986) but finally in 2018 the Blues got their hands on the Suffolk FA Premier Cup after defeating Bury Town 3-0 at Portman Road. In the Suffolk Junior Cup fortunes have fared more favourably. Four finals and three wins, in 1895, 1983 and 1984, with 1984 also seeing the club lift the Suffolk & Ipswich League Division One trophy. More recently, and in their first Jewson League season, Leiston lifted the Division One trophy in 2002. The club also lifted the prestigious East Anglian Cup after a penalty shoot-out over higher ranked Brentwood Town in May 2008 and then the club achieved back to back titles winning the Ridgeons Premier Division in 2011 and the Ryman League Division One North a year later in 2012. Efforts on and off the field in the past few seasons has also seen the club win prestigious awards for Respect and Fair Play from the Ryman League and the club is extremely proud to collect such achievements. Season 2008/2009 will be long remembered in the history of Leiston as we became only one of three sides to ever reach the First Round proper of the FA Cup after starting the competition at the Extra Preliminary Round stage. Memorable wins at higher ranked Carshalton Athletic and Conference Premier Lewes in a run that lasted nine games and ended in a replay defeat at Conference North Fleetwood Town in front of 2000 fans after a record crowd of 1250 had watched the First Round goal less draw at Victory Road. After ten seasons in the Eastern Counties League the club gained promotion to the Ryman League as champions of the Ridgeons League. The inaugural Ryman League season provided unexpected success and at the first attempt secured the Division One North title with some fantastic performances including a 26 game unbeaten run. Now in its sixth season at Step Three, the club achieved its highest ever finish last season (5th) and qualified for the play offs for the very first time, beaten by a single goal at Dulwich Hamlet in the Semi Finals. A fantastic effort by all but the Blues now say good bye to the Isthmian League as a new chapter begins in the newly formed Southern League Premier Division Central for season 2018/2019. A very youthful Reserve side, under the guidance of Paul Bugg and Stuart Reavell last term, played some great football and were vastly improved finishing 13th and also reached the Suffolk Senior Cup Quarter Finals. The Reserves are now under the guidance of Ian Cornforth and Dean Last as the club continues to engage youth development with many of the Reserves side from the Under 18 Level. The U18's had another fine season winning the Thurlow Nunn Youth League (Central) Division and had long runs in the FA Youth Cup and Suffolk County Cup while the introduction and links with Junior sides in the community will see the club evolve further for the future. 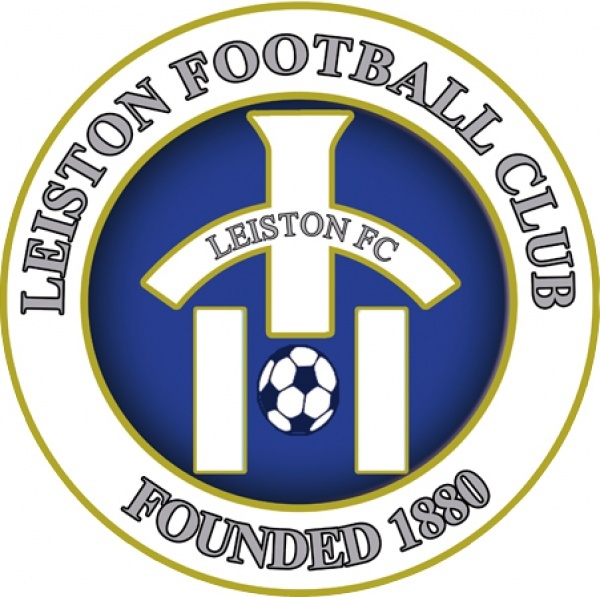 Over the years, Leiston have been blessed with many able and willing Chairmen, Secretaries and committee members and the club prides itself on its family attitudes. The club has also been very fortunate over the years to have players of note in their ranks and includes many links with professional clubs including Ian Gillespie, Ted Phillips, Jackie Warne, Stuart Boardley, Byron Lawrence and Jason Dozzell to name but a few. The club continues to improve its facilities in line with FA grading requirements and now has some of the best Non League facilities in Suffolk and the club is forever looking to improve. The efforts of Chairman Andy Crisp and Vice Chairman Peter Mayhew have been the main driving factors behind the changes and the meteoric rise of the club to step three of the national pyramid. Former player Stuart Boardley replaced Glen Driver as Manager in October 2018 and will continue to push the club forward especially with the development of Youth at Victory Road.